In a candid interview with Chicago Tribune’s Irv Leavitt, Dawn Geras, Co-founder and Executive Chairman of Save Abandoned Babies Foundation answers some fun questions for the Chicago Tribune’s Shout Out section. 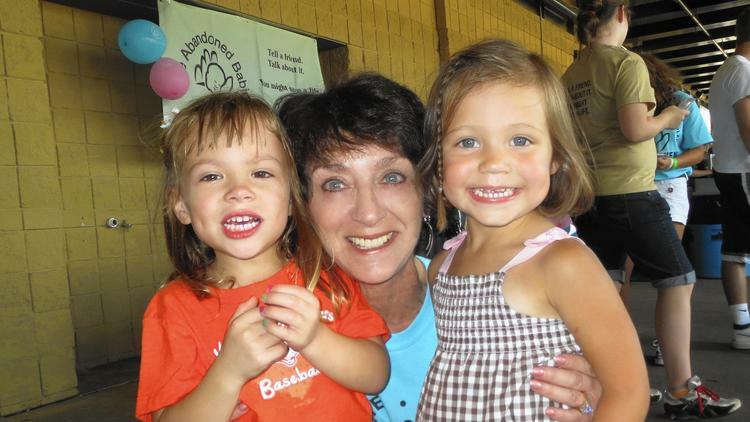 Dawn Geras, a former resident of Northbrook, is currently the executive chairman and former co-founder of the Save Abandoned Babies Foundation. She, along with Angie Adler, another Northbrook resident, won passage of Illinois’ Safe Haven Law back in 2000. This law, allows women in crisis to safely and anonymously hand their newborns, up to 30 days old, to staff at hospitals, police stations and firehouses. Those who ride motorcycles can support the foundation by attending their 2nd annual motorcycle run Sept. 10, starting from Rookies’ Bar in Huntley. want to be when you grew up? A: A nurse. I didn’t have many options. My father told me the only thing women were good for was to be kept pregnant and barefoot. (Nursing school) was something I was able to put myself through. But I loved it. A: Dime store, a Ben Franklin, on Milwaukee near Howard. I was like 14 or 15. It was the only place I could get a job where they didn’t ask your age. And I got to work with the parakeets. Q: Where If you could travel anywhere, where would you go? A: Everywhere. But how about Tuscany? It’s wonderful. If I don’t have to cook, I don’t care where we’re going. Q: What’s your favorite charity? That’s a no brainer. But also, Make a Wish. Q: What’s the most amazing thing you’ve ever seen? A: How about a baby being born? I’ve seen a number of them, and it doesn’t get old. Each time it happens, it’s a miracle.